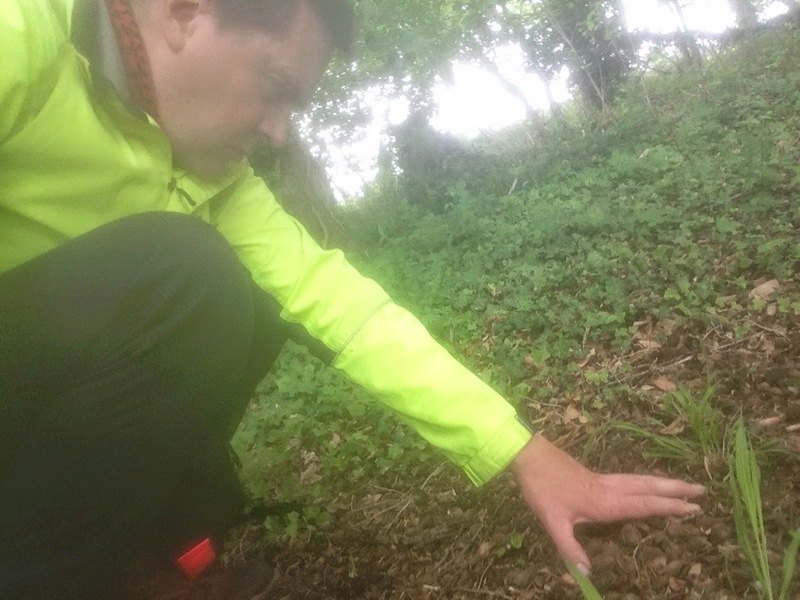 I went to see some big cat sighting locations in West Suffolk (Newmarket, Red Lodge, Mildenhall Woods, West Stow and Culford) for myself on Saturday, and looked for possible big cat field signs. 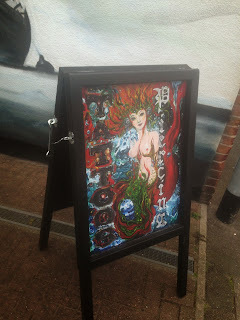 The people of West Suffolk are much more sceptical about big cats than those in East Suffolk, it seems, although the explanations they offered for big cat sightings were beginning to sound a bit like "ignited marsh gas and the planet Venus" from Men in Black. You'll have to buy a copy of Mystery Animals of the British Isles: Suffolk when it comes for more detail! Scattered feathers in the King's Forest, "inconclusive", as Natural England would say. Evil freshwater mermaid on a tattooist's sign at Mildenhall, just up the River Lark from where freshwater mermaids were said to live at the Mermaid Pits at Fornham All Saints. They were clearly tales made up to stop children playing in rivers and ponds. "Welcome to Suffolk" sign at Newmarket, where Suffolk is at one point a corridor a couple of hundred yards wide, with Cambridgeshire on both sides. The sun has leached out the sunburst symbol over the water at the bottom of the logo. Looking for field signs of big cats in woodland in Red Lodge. There are a couple of bags of possible big cat poo in my freezer - they had a lot of hair in them, but possibly not enough (deer) hair for it to be a big cat's. Analysis follows. I wish I had more time to linger in Mildenhall Woods, where a couple saw a big cat in September 2014. If I were a big cat, it's the sort of place I'd hang out. The ghost of one of horseracing history's most famous jockeys, Fred Archer, riding on his favourite horse, Scotch Pearl, has been seen galloping on the exercise tracks in Hamilton Lane, Newmarket, not far from this equestrian bin in the High Street. Archer, unusually tall for a jockey, shot himself after the death of his wife and probably as a result of his depressing weight loss diet. Some of the 3,000 thoroughbred racehorses exercised every day at Newmarket, some are worth £1 million. They seem to panic easily - a paper bag caught in the wind will set them off, according to a local Town Councillor and Justice of the Peace, the first farrier to serve as a magistrate since the Farrier's Company records went up in smoke in the Great Fire of London. He also said some jockeys are 7kg below their healthy bodyweight, so it's "No wonder some of them go off the rails." The River Lark is a trickle at the bottom of a ditch where it passes within 300 metres of the West Stow Anglo Saxon Village museum. It was down by the river where a visitor reported seeing a "puma" two years ago. The staff member I talked to thought it was a misidentified muntjac. Russet Drive, Red Lodge, scene of a 2009 big cat encounter. Rather big cat-friendly "derelict land" at the back of Russet Drive, Red Lodge, where Jackie Ellerton saw a "huge and spotty... feline creature” twice the size of an ordinary cat early one morning in 2009. Fields immediately outside Newmarket as you leave on the Newmarket-Dullingham train. Someone saw a black big cat running alongside the train as if left Newmarket in January this year. "Are you yanking my chain?" asked the sceptical train conductor when I mentioned this. He suggested a misidentified black racehorse, "there are plenty of them." A panoramic view of Suffolk at its narrowest point, on the Eastern edge of Newmarket along the Bury Road (A11), showing Cambridgeshire to the north (on the left) and to the south (on the right). 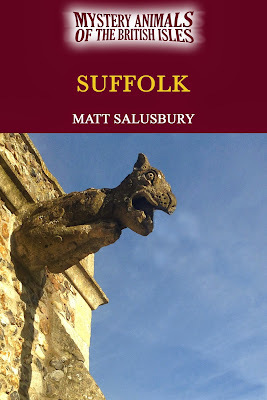 Mystery Animals of the British Isles: Suffolk is coming! Here at last is the front cover image for Mystery Animals of the British Isles: Suffolk, out later this year from CFZ Publishing. See here for updates. I recently met Iraq ministry of education officials at British Council "English in Iraq" meeting in London. There were plenty of euphemisms to describe the state of English language teaching in Iraq, and everyone was putting a brave face on a very difficult - and delicate - set of circumstances. A report co-authored by Claudia Civinini and myself for trade magazine EL Gazette is here. 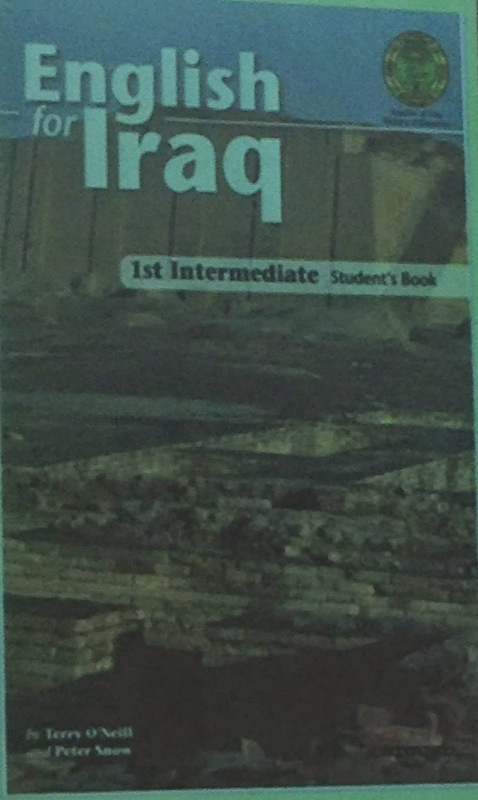 The internet in most Iraqi classrooms was said to be "partially available." Daphne Laing University of Wolverhampton complained that one of the biggest problems was that "our people are risk averse." The University of Wolverhampton has had to pull out "due to current issues." 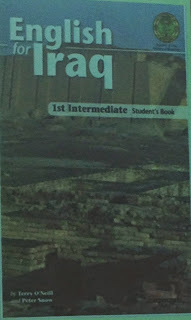 Two UK publishers reported extensive problems with piracy of their English language textbooks (one shown above) in both Iraq - "CSI" (Central and Southern Iraq, the part of Iraq that's not in the Kurdistan Regional Government) - and within the Kurdistan Regional Government education system, which is completely autonomous from Baghdad. More will follow on this in EL Gazette later, but at the moment there is a reluctance to talk about this issue on the record. The meeting was in the spectacularly grand surrounding of 10 Carlton House Terrace, about the poshest address you can get in London SW1 (it used to call itself The British Academy). 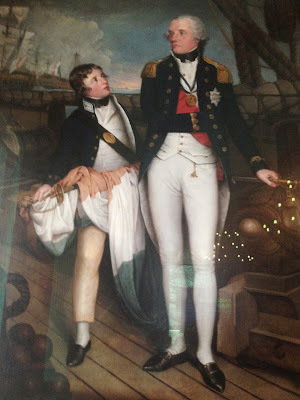 Watching over the meeting was a magnificent portrait (above)by the artist Head depicting Admiral Lord Nelson receiving the French colours after defeating the French fleet at the Battle of the Nile in 1798. We noted that the red, white and blue of the French colours held by (presumably) a French cabin boy appear to have been leached out by the cruel sun of the Eastern Mediterranean.